10 Useful Chrome Extensions to Try in 2015 - An easy way to distinguish an extension from an app is the puzzle piece icon of an extension. 2. Click on the blue +Free button. The share icon next to the free button allows you to send a link to the app/extension via Google+ or Gmail. 3. A box will appear prompting you to confirm the addition of the new app or extension. The blue +free button will change to "checking." Once you hit "confirm" the app will be added to your Apps Launcher and the Extension will be added to the right of the Omnibox. 4. All your extensions get added to the right of your Omnibox. 5. 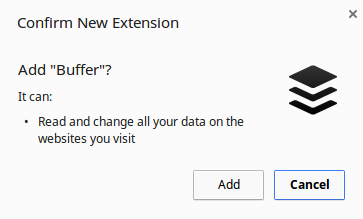 To disable or remove an extension, click on the "customize Google Chrome button"
6. Then deselect the enable check box if you wish to disable it, or click the trash icon if you wish to remove the extension from Chrome. Note that because extensions are "mini programs" they may impact the speed of your device if you end up with too many.